educational content in a fun & safe environment! 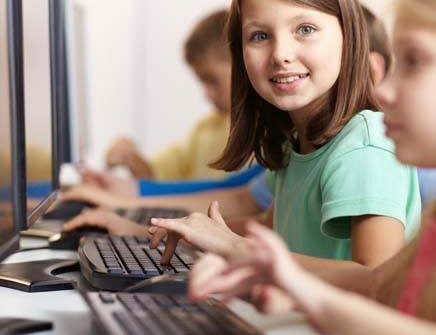 International Digital Education Access (I.D.E.A.) has been an evolution that lead us to understand that entertainment and education for young children has forever been entwined. Parents have sung alphabet songs and brought the rain down with their fingers to teach their young ones for generations. The Learning World of Oville does just the same thing. Learning is incidental to play. Acquiring language skills is fundamental to future education. Whether English is your child’s mother tongue or not, Master Hoobee’s Language Class will teach proper enunciation and help build a growing vocabulary. Our Learning World provides parents and teachers with the tools to begin lessons in language, math, sciences, nature, important values, and life skills, all in a fun, engaging environment. Explore some of our great products below and find out how you can get involved in building the future of early childhood education. Help give children the best start! Discover the Learning World of Oville, our core product. Oville is a fully animated world of fun and learning for children aged 3 -7. Children explore the world, meeting the characters in Oville, who have many great things to teach through activities, games, puzzles, songs, books and art. Visit Master HooBee’s Classroom, our first big addition to Oville. 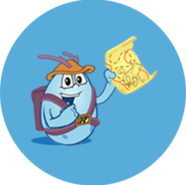 Master HooBee is the resident teacher in Oville, and the addition of his classroom adds 3 years of fully animated English curriculum to the Oville experience. Introducing Variety House and Charitee! We’re proud to partner with Variety the Children’s Charity to bring another great addition to Oville. Charitee, our newest Cackleberry, was born without her bounce and lives life to the fullest in her wheelchair. 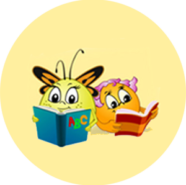 Charitee helps children learn about differences and celebrate similarities. 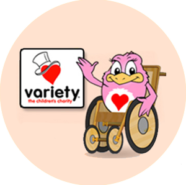 Access to Variety House is free thanks to our partnership with Variety the Children’s Charity.